The Information Centre for Business Standardisation and Certification (the BSC Information Centre) is an institution established by the Articles of Association issued by the Goverment of the Autonomous Province of Vojvodina on 7 October 2009. The BSC was established as a result of the implementation of the "Business Standardisation and Certification Scheme - BSC" programe which is one of the 14 priority programmes of the Integrated Regional Development Plan of the AP of Vojvodina. The Provincial Secretariat of Economy headed the project. The BSC was established with technical and financial support of the Austrian Development Agency and with the expert support of the Austrian Standardisation Institute. In November 2010 the Memorandum of Understanding was signed between the Information Centre for Business Standardisation and Certification and the Austrian Standardisation Institute, which facilitated the commencement of the cooperation in accelerating harmonisation of the national regulations with the European ones in the area of standardisation and certification. Besides, the Centre has signed an Agreement on scientific-technical cooperation with the University of Novi Sad; an Agreement on cooperation with the Vojvodina Chamber of Commerce is in the pipeline. The Centre has an excellent cooperation with the Institute for Standardisation of Serbia, whose member it is, and with the Chambers of Commerce in Vojvodina. On 25 January 2011, the Information Centre for Business Standardisation and Certification (BSC) was officially opened. It was the President of Vojvodina Government, Mr Bojan Pajtić, LLD, who opened the Centre. The BSC Centre is a modern and flexible organisation which operates with optimal consumption of available resources and at the same time it fully meets the needs of beneficiaries from the AP of Vojvodina in the area of standardisation and certification. The Information Centre is a constituent part of the quality infrastructure of the Republic of Serbia and by performing its work, it contributes to the accelerating harmonisation of the national regulations with the European ones. - as one of the BSC programme activities, a training on implementation of the ISO 9001 and ISO 14001 standard requirements was organised for small and medium enterprises from Vojvodina; the training was organised with the cooperation of the Regional Chambers of Commerce in Vojovodina; 150 SMEs from Vojvodina have completed such form of education so far. - it is highly significant to note that, within the framework of supporting the BSC programme, $ 150,000.00 were provided through the ADF. This amount was spent on co-financing consulting services for the need of 42 enterprises. 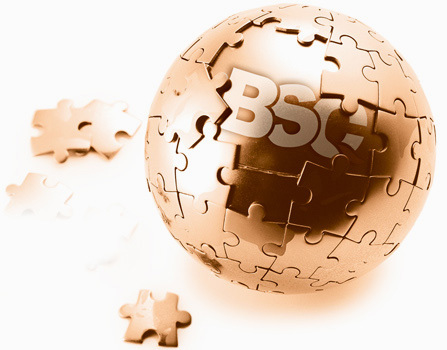 Approximately 100 enterprises have been certified within the BSC support programe so far. In 2011 the BSC Information Centre purchased equipment and gave it to the measurement laboratory for testing low voltage devices (the THD building at the Faculty for Technical Sciences in Novi Sad) to use it and multi-functional machine for testing cutting and grinding wheels for safety according to OSA standard (to the IBA ADA enterprise from Ada to use it). The total value of the equipment is € 140,000.00 and the money was received from the Austrian Development Agency (ADA); the aim was to increase the competitiveness of our products on the European market. With regard to the existing equipment the Centre will provide services in the area of testing products (at the moment preparation for possibilities of testing low voltage devices and grinding tools is taking place). Concerning the BSC staff, they have completed a great number of seminars, trainings and acquired a series of certificates. The employees of the BSC Centre acquired a certificate for Risk Management (RM) in November 2011. The lecturer was a renowned expert in the area of Risk Management from the Austrian Standardisation Institute from Vienna. In December 2011 the Information Centre for Business Standardisation and Certification was handed the “Certificate for Quality Management System According to the Requirements of SRPS ISO 9001:2008 Standard”. Following the successful completion of EOQ School, which consisted of 160 classes, and acquisition of the title of QM Manager according to the harmonised EOQ scheme, the employees of the Information Centre for Business Standardisation and Certification are trained to exchange knowledge and work on management systems, their realisation and implementation on equal terms with their peers from the European Union. The certificate award ceremony for the employees took place on the anniversary of the establishing the Information Centre for Business Standardization and Certification, i.e. on 25 January 2012. The employees of the BSC Centre also completed and acquired EOQ School Certificate for external auditors in April 2012. In this way the BSC Centre is qualified to implement a great number of seminars, trainings, etc. together with the external experts who are engaged when necessary. It is very important to point out that the partner of the BSC Centre in the cross-border IPA project was Dél-Alfőldi Regional Inovational Agnecy from Hungary. The project was funded by the Hungary-Serbia IPA Cross-Border Co-Operation Programme. The project commenced on 01 January 2012 and was completed on 31 January 2012 (12 months). The project’s objective is to enhance competitiveness of the cross-border region Southern Great Plain in Hungary and Vojvodina in Serbia. The Feasibility Study confirmed the justification of establishing the BSC Centre. The feasibility study was created by experts working at the Faculty of Technical Science. Implementing the BSC Centre programme facilitates domestic manufactures to have greater trade freedom. Once the technical barriers are removed, the principle of free goods movement within the European Union will be possible.